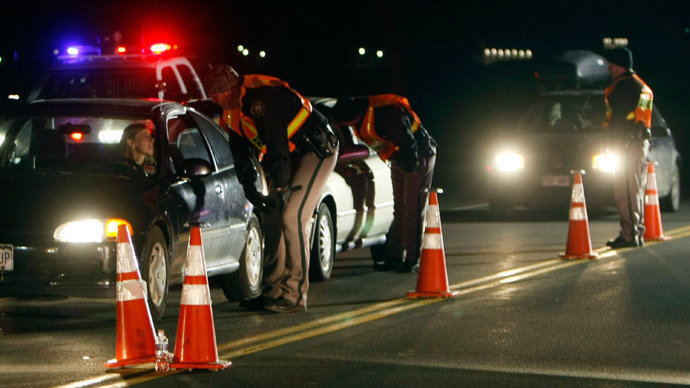 Advanced alcohol detection technology has been unveiled by the National Highway Traffic Safety Administration (NHTSA) that will prevent cars from being operated by intoxicated drivers. The Driver Alcohol Detection System for Safety (DADSS) can be built into vehicles and prevents the car from moving when it detects the driver has a blood alcohol concentration of over .08. The proposed DADDS system non-invasively measures the alcohol level of a driver’s breath and can distinguish between drivers and passengers. Another proposed system scans drivers’ fingertips and reads the blood alcohol content below the surface of the skin. Ignition interlock technologies with similar purposes already exist, but they require the driver to blow into the device. Such systems are typically only installed by court order in the vehicles of drivers who have been convicted of drunk driving. The new system samples cabin air by itself without the need for driver participation. The technology was warmly received by US House Representative Nita Lowey (D-New York), who stated that the new technology holds “amazing promise” and could be as revolutionary for driver safety as airbags and seatbelts had been. Neither the representative nor NHTSA have stated if there are any plans to eventually make installation of the technology mandatory in new vehicles.